Bill Gates wasn’t kidding when he said Windows 7 would “be more efficient.” Adrian Kingsley-Hughes from ZDNet put together 23 real-world scenarios to see which operating system would be the quickest to complete all of the tasks. 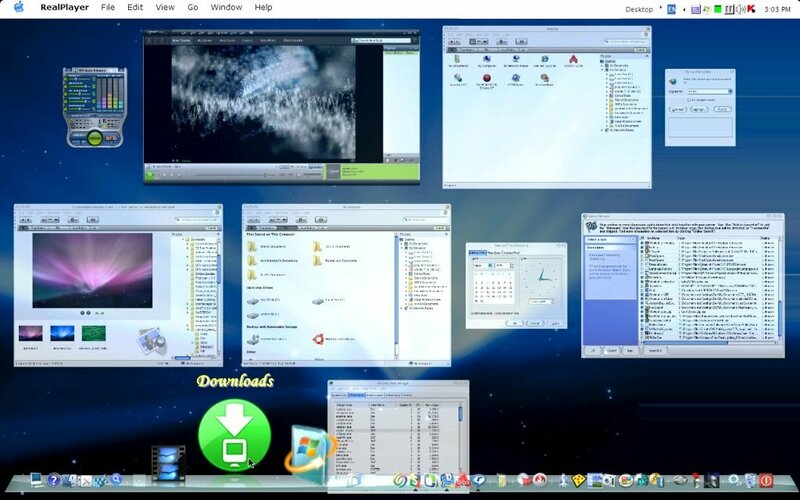 He tested the 32-bit versions of Windows 7 build 6.1.7000.0.081212-1400, Windows Vista SP1, and Windows XP SP3. Adrian used two different test systems (listed below) and tested Windows7, Windows Vista, and Windows XP against one another. Windows7 came out the winner… and it’s still beta code. Kingsley gave a 1 to the operating system that finished each test first, a 2 for second place, and a 3 for third. Windows 7 scored 25 points on both systems, placing first in 21 tests, and second in two other ones. On the AMD system, XP scored 61 points and Vista scored 52, while on the Intel system, XP scored 56 points and Vista scored 57. View the full results of his tests over at ZDNet. Windows 7’s user interface overhaul, there’s is a lot of hype about this right now. We know what’s going to change, we know what it looks like, but there’s one important question that has not really been given much stage time: why? At PDC, one session was dedicated to just that question. Speaking was Chaitanya Sareen, part of the windows user interface team. He placed the changes in Windows 7 into context, talked about Windows’ user interface history, and explained why certain changes were made. An interesting insight into the goals of the Windows 7 interface. Microsoft has been hinting that even though it had no plans to make major changes to the Windows kernel, it did have a scheme up its sleeve to make Windows 7 and Windows 7 Server better suited to working on multicore/parallel systems. Now details are becoming clearer as to how Microsoft plans to do this. During the debut of the pre-beta of Windows 7 this week, Windows Engineering Chief Steven Sinofsky made a passing reference to Windows 7 being able to scale to 256 processors. But he never said how this would be enabled. Mark Russinovich, Technical Fellow in Microsoftâ€™s Core OS division, explained in more detail how Microsoft has managed to do this in a video interview published on Microsoftâ€™s Channel 9 Web site. Russinovich said that Microsoft has managed to break the dispatcher lock in Windows â€” a task that had stumped even the father of the Windows NT operating system, David Cutler. When Cutler designed Windows for the server, systems beyond 32-way seemed far, far away, Russinovich said. Presented below is video of Mark Russinovich (of sysinternals fame… ya seriously the guy is a geek hero) enlightens us on the new kernel constructs in Windows 7. One very important change in Windows 7 kernel is the dismantling of the Dispatcher Spin Lock and redesign and implementation of its functionality into separate components.